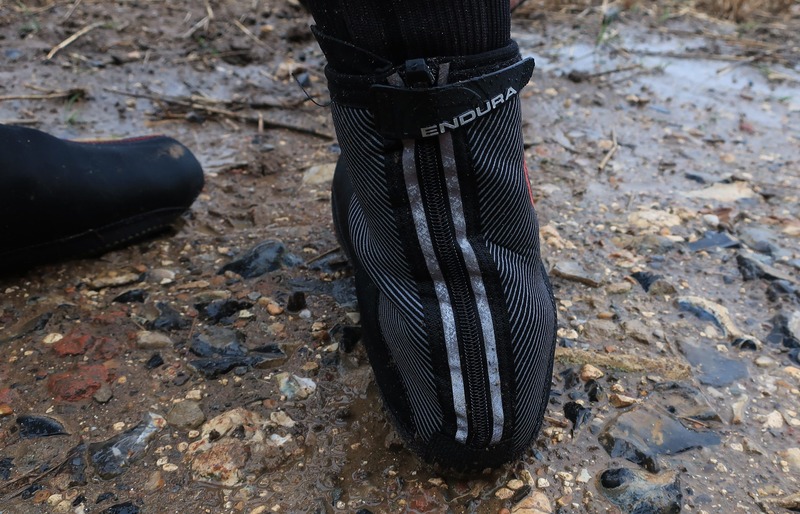 Review: Endura Freezing Point Overshoe - ADVNTR. 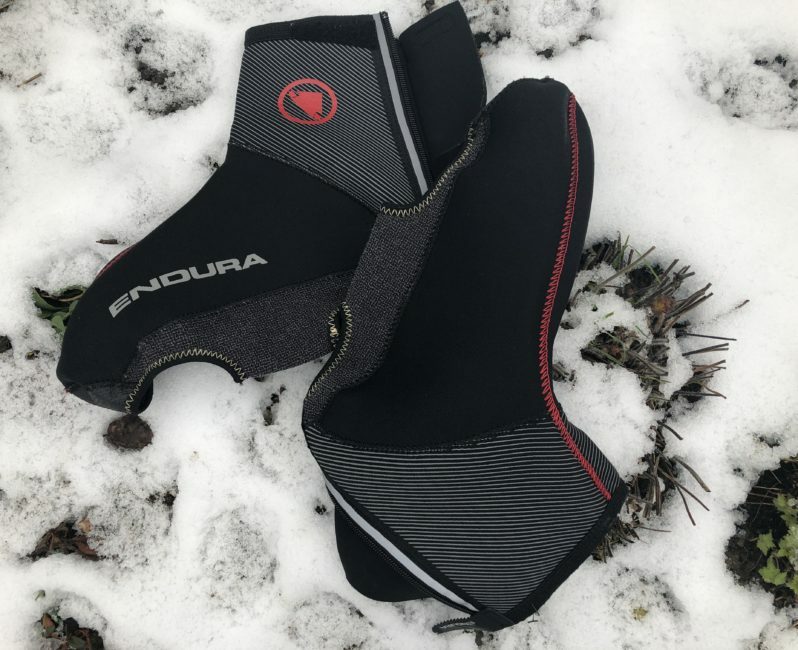 With the UK experiencing the coldest temperatures in 7 years, what could be more appropriate than reviewing Endura’s warmest of overshoes? 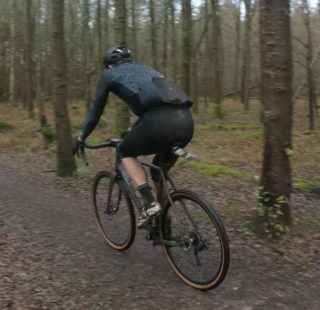 The ‘Freezing Point’ overshoes are designed to cope with the worst that winter can throw at you. 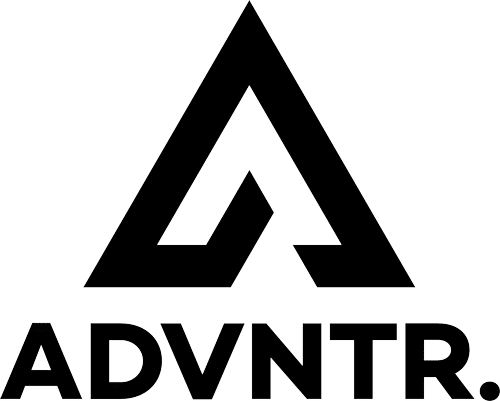 When it comes to keeping your feet dry and warm through winter, a pair of dedicated winter shoes is the optimal solution. We get such short periods of ‘real’ winter here, and winter shoes are so expensive, they really are a bit of an indulgence. The best compromise is a pair of overshoes. 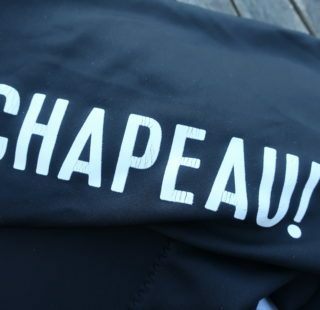 Tough zippers are backed up with a wind flap, and additional velcro fasteners ensure a snug and draught free fit. The soles are made from tough aramid, with ribbing for additional grip and a decently large hole for your cleats to poke through. 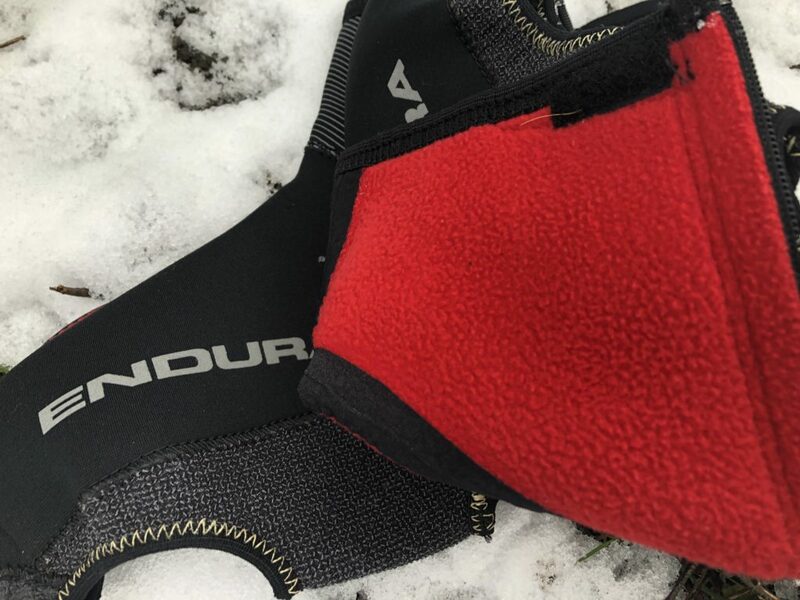 If your shoes have studs, remove them as they’ll soon munch their way through the sole and quickly ruin your new thermal shoe covers in no time. Aramid soles are grippy and hard wearing. 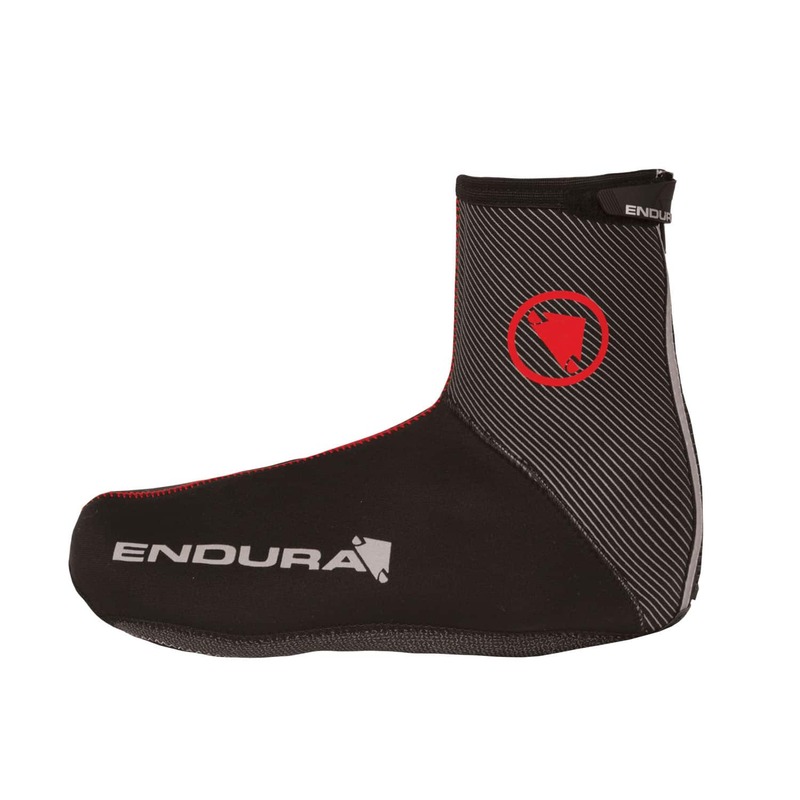 The neoprene construction means they are great for wet weather rides. With a large hole in the bottom though, don’t expect your feet to remain totally dry. Water has a fiendish way of finding a way in, especially through the bolt mounting points within your shoes soles. 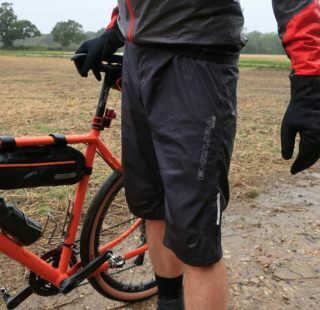 The fleece lining is like a thermal blanket and, riding against an icy wind and driving rain, kept my feet toasty and dry. 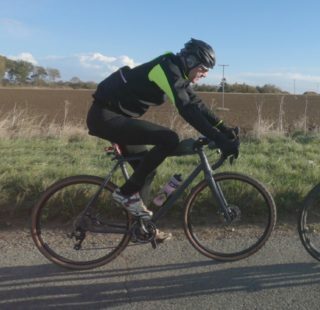 If the temperatures warm up on your ride, you’ll soon notice your feet will start to boil! Neoprene construction gives wetsuit resilience against the wet. Endura always include plenty of reflective elements. The Freezing Point Overshoe sports large reflective logos on the side and up the back along the zipper panels. Reflective elements on your feet are always a great eye catcher for motorists at night as your feet are constantly moving. Great reflective detailing makes them ideal for night rides on the road. 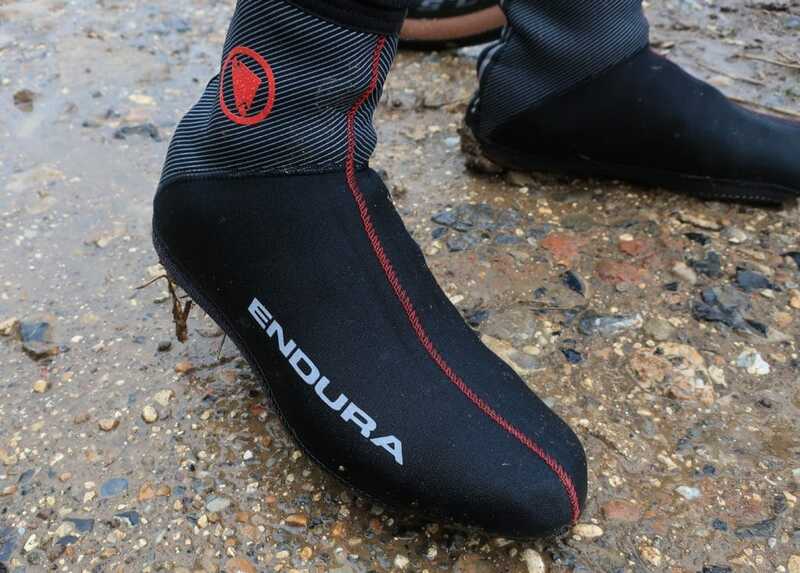 At £49.99 these overshoes are great value for the level and warmth and quality on offer. I’ve been using them since November and have been impressed with their durability. 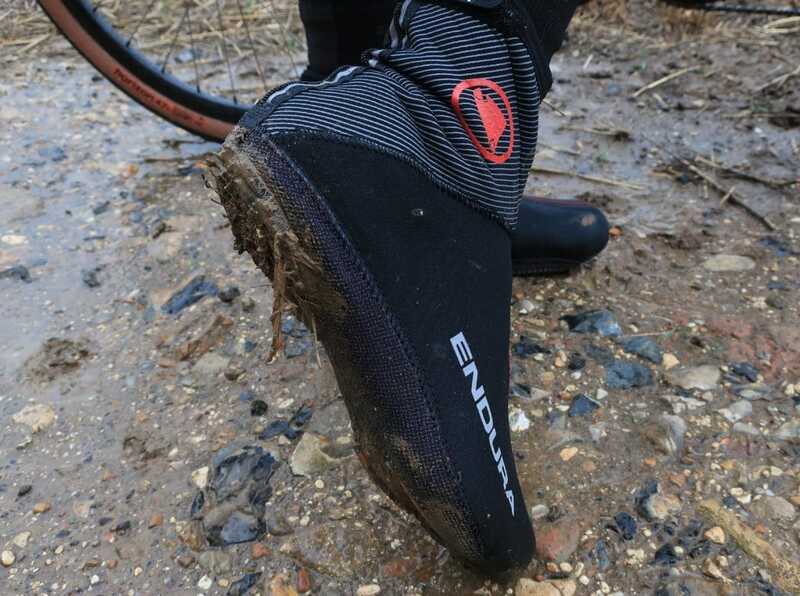 Some overshoes can be very delicate, especially if you walk about in them. The Freezing Points however, have resisted wear and tear very well. If you don’t want your toes to drop off this winter, give these a look. Sizes come in small to XXL. Treat your toes to a pair of these this winter. They’ll be your friends forever!